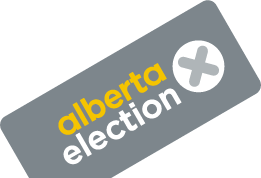 Are you pleased with the outcome of Tuesday’s provincial election? Fescue, we agree 100% with you, what a wonderful feeling that is. And how disappointing to read that Mr. Godlonton, makes zero mention of the damage oil well drilling and exploration has done over the years. Environmental lawyer Dr. David R. Boyd ,in his book “Unnatural Law: Rethinking Canadian Environmental Law and policy” clearly states the incontrovertible fact that Canada (not just Alberta but across this land) is an international laggard in environmental policy and practice. A decade ago the Conference Board of Canada ranked this country 15th out of 17 wealthy industrial countries relative to their environmental performance. Nothing there to be proud of. In Alberta, from the far north, where the media never reaches to the badlands of Alberta, oil exploration has decimated dozens (maybe hundreds we’ll never know when or where they’re bought off and gagged from speaking publically) family lives, farms, water and livelihoods. Anyone choosing can read any of dozens of books written on the subject, (by boots on the ground investigative journalists). What you’ll learn will be distant from what a former worker in the oil industry defending how they earned an income, will tell you.. There’s plenty of documentation/evidence, showing how poorly regulated,and destructive the gas and oil industry is. And the fault doesn’t lie with them either, there’re just carrying on business as usual. And for the record. Most Albertans including us, do not have a bone to pick with resource extraction of any kind if its properly policed – it isn’t, not even close. We recognize the importance industry plays in our progress, employment and so on. What we object to, are risky ventures being carried out on the banks of our water supply, which if contaminated further than it already is by agricultural concerns would spell disaster for southern Alberta and beyond. Think about where the Old Man River ends up! We choose not to close the barn door after the livestock have escaped. I know little about fracking, so I can’t comment on that, but what is the relationship between what Fescue mentioned of the AER, and what Lonestar said in regards to regulation? The AER’S mandate as I understand it is to do the minimum necessary to protect the public and the environment. Resolute has said that Alberta has the highest of standards, which may be true, but only by virtue of other jurisdictions being much worse. The other side of the mandate is to make it as easy and profitable as possible for these corporations to extract oil and gas. The AER has implemented a number of directives around this new fracing technology which suggests the higher potential for problems (particularly shallow wells, old wells in proximity, etc.) – in other words, the risk is higher, requiring greater regulation. As such, I think it would be prudent not to drill within our more densely populated cities. The AER’S mandate as I understand it is to do the minimum necessary to protect the public and the environment. You could have also used “IMO” to avoid a libel / slander legal issue. Please submit your accusations to the AER, and publicly post all said interactions. Actually, I mean ‘minimum’ in an objective way: anything less being deficient, anything more being considered over-regulating by the industry. I think, overall, the AER has been responsive to the risks that have emerged from the practice of fracing. Some do. I find there’s much to be gleaned from the comments sections of articles. Can be most revealing, and enlightening. “The Alberta Energy Regulator (AER) governs all fossil fuel activities in the province. The AER came into force in 2013, under the Responsible Energy and Development Act (REDA) . The AER operates as a corporation, which is 100% industry funded. Under REDA, the AER is not an agent of the Crown, or beholden to the Public Service Act and has immunity from any legal action. When legislative changes were made in 2013, the public interest mandate of the regulator, which previously existed under the Energy Resources and Conservation Board, was removed. To further, the AER operates with no public health mandate. The AER enforces the Water Act, Public Lands Act, the Environmental Enhancement and Protection Act and sections of the Mines and Minerals Act, with respect to all hydrocarbon resource extraction in the province. Along with these legislations, there are numerous other statutes and directives, that govern the oil and gas industry in Alberta. The AER is mandated to implement, inspect and enforce regulations to ensure licensed companies operate compliantly and all energy infrastructure is decommissioned and reclaimed properly. Concerns have been expressed that the AER operates in a conflict of interest, with a mandate to both regulate and promote an industry, to which it is entirely fiscally dependent upon. Additional challenges of the AER include increasing reclamation liabilities which are estimated at $30 billion, lack of compliance and enforcement, inadequate incident and emergency response and incomplete environmental and public health monitoring. … Beginning in 2015, the AER has implemented a play-based regulatory approach to energy applications. Formerly, one application was submitted per well site or facility. New lifetime applications permit companies to submit one application for whole resource formations, spanning entire Municipal Districts, including all aspects of operations, from the infrastructure, water, land and consultations required, waste and emissions generated for potentially hundreds of resource wells, to the reclamation of the project, decades in the future. There are currently dozens of such applications before the AER and several are currently approved and operating. This was a very bold move by the AER to de-regulate the industry. Furthermore, in February of 2018, the AER and Alberta Environment and Parks announced a directive that provides industry greater flexibility regarding water licensing and withdrawal for hydraulic fracturing operations, most notably, increasing the validity of an approval from one year, to ten years. … I have dealt and met with dozens of AER employees from Gerald Protti and Jim Ellis, to inspectors Tyler Callicott and Neil Berry, counsel Gary Perkins and Helen Bowker, specialists Gerald Palanca and Mike Zelensky, and enough stakeholder relations people to make your head spin. I have acres of files and gigabytes of recorded conversations with AER staff and I retain zero respect for any of them, aside from our initial inspector, Chad Temple, and he is no longer with the organization. As a family, we have endured inconceivable negligence and incompetence on behalf of AER inspections and their ineffective or entirely absent enforcement activities. You will hear similar accounts from hundreds of landowners and residents in the province. Your perspective as an IT worker, formerly within the organization, is worlds apart from an impacted landowner, seeking remediation and enforcement from a corporation that owes you no duty of care and can not be held accountable for any action or inaction. The AER set out to discredit our family and violate our privacy by writing, publishing and distributing the Didsbury Recurring Health Complaints Technical Synthesis, a report that serves no purpose other than to attempt to humiliate our efforts to address serious non-compliant sour gas operations, that were impacting our farm and family. When compared to our legal filings, including extensive exhibits and documentation (largely the AER’s own files) on public record with the Court, it is clear the Didsbury report is full of omissions, fabrication and misleading narrative. Both ourselves and our elected official Nathan Cooper, have called on the AER to retract the report, for many years, to no avail. You see, the AER can publicly fabricate their response to serious noncompliant activities and get away with it. Legal indemnity does not serve the public good. It can and should be changed. The legal system is well equipped to deal with vexatious litigants. Residents and landowners that have impeccable documentation and experience with bad faith inspectors and VP’s within the AER, should be able to file suit against them. Additionally, the public interest mandate of the AER must be reinstated and a public health mandate must be implemented. The AER can not purport to protect the safety of Albertan’s, when they have no such mandate. In over 6 years of requesting proper inspection and enforcement, the AER continues to overlook tens of thousands of non-compliant leaking well sites (refusing to even post signage at sites that are leaking for public/worker and emergency personnel protection), incorrect ERP/EPZ information regarding sour gas operations, unmaintained and un-inspected sour gas pipelines and facilities, inadequate public health and environmental monitoring, and widespread non-compliance for the proper monitoring and testing for on and off site emissions for oil and gas operations. You would be appalled to review our file and see what the AER intentionally overlooked in the operations near our home and in the community. Most of which still occurs to this day. If you were ever to attempt to achieve mitigation with the AER for non compliant actions, you might be surprised to find, they don’t care about Albertan’s at all. And when it comes to fracking, neither does APEGA, the Government of Alberta, Alberta Health or Alberta Health Services. The AER has not inherited the orphan/inactive well issue, they created it. As the only jurisdiction in North America that does not have any directives or legislation that pertains to the timely remediation and reclamation of inactive or abandoned sites, the AER has been wilfully negligent on failing to address the situation with legislative measures, for over 75 years. Furthermore, the AER’s LLR program is ineffective, and the propensity for the regulator to approve license transfers to barley solvent operators has created a massive public liability. If one reviews the Redwater fiasco, and the involvement of ATB, Grant Thorton LLP, CAPP and the AER, it is hard not see this is an orchestrated mess. Even if a company is releasing tonnes of VOCs, PAHs, heavy metals and millions of m3 of toxic emissions, including sour gas, near your home, the AER will not give you audience as an impacted party. There is no directive or legislation that defines the parameters of directly affected, therefore, the AER uses their omnipotent powers of REDA to use the term as an overriding quashing tool for all resident SOC’s. You can review the SOC decisions by the AER and from that you can determine that no amount of traffic disruption, safety considerations, pollution, noise, health impacts, property devaluation, livestock impacts, land impacts or any consequence of oil and gas development is sufficient enough for the AER to consider landowners concerns. Thank you, annie57. Very, very interesting! I took the play-based regulation as finally addressing cumulative impacts, but I see your point regarding practical deregulation. Thanks for this. mel, so often agree with your entries, but on this we are at opposite ends. one thing to mine, and quite another to mine and leave poison in its wake. the poison used to frack undermines the health of the water, land, and creatures. mining operations of all types need to be held to much, much higher ethical standards. it is amazing we are in shock a crew starts drilling in October my god nobody sees it what are you all blind its finished no report on bad things I beleive Mel a person of experience not a bunch of propagrada readers who believe in all the eco crap. how many capped wells and pipeline are there in that area previously county or maybe county now also pipelines do you know if this well was policed it must have been to allowed to proceed.for months lstar where does the Oldman waters end up.? Wondering how many of these hypercritical, sanctimonious commentors are surviviving this cold February thanks to natural gas? Yes Duane, the hypocrisy and ignorance is overwhelming. Surviving on unicorn and pixie dust is all the rage now. It’s the 60’s all over when one thought you could be one with nature and survive in the woods. All of those people now state, ” I was ideologically ignorant”. Thanks Seth, As one who was “one with nature, and survived in the woods” in the 40’s on bioenergy(wood), helped with a little gasoline, kerosene and big dry battery packs, I have great appreciation for electricity, natural gas, and even coal. Luckily we had 480 acres of bush to provide the wood fire energy for a family of four. Harvesting it to prepare for winter was not fun – actually quite risky. no need to be so silly, dp. we accept we need home heating, and natural gas works well. what we do not need is natural gas that is derived from an unnecessary process that leaves in its wake an unnatural amount of poison, which will vex us for a very long time to come. seth – the proof is already in the ground, ground water, and rivers and lakes. fracking is imbecile activity – humans at among their stupidest. that much i do know. Perhaps some facts to support your outrageous claims? Rosebud and other water supplies are untainted by fraccing, as concluded by all thorough scientific investigations. CBC and related biased opinions are irrelevent. Go buy a bridge. Where are your facts to support your bullsh!t? Not only are “Rosebud and other water supplies” tainted by frac’ing, but they’ve also been tainted by rampant government and regulator corruption and fraud. “Justice Wittman also questioned Ernst’s lawyer Murray Klippenstein about the government’s filing of a report by the Alberta Research Council that dismissed Ernst’s water well case as insignificant. The government claimed the report was an independent review that proved there was no merit in the Ernst case. Klippenstein argued that such a filing of evidence was inappropriate at this time. “Some of the same toxic contaminants found in sampling by the EPA at Pavilion were found by Alberta Environment in groundwater at Rosebud, and were dismissed, ignored or reported incorrectly by the Alberta Research Council. The wholly owned government agency was notified of the errors and omissions, but did not correct them as is required to maintain laboratory accreditation in Canada. I would suggest you pick up a copy of Nikiforuk’s award-winning book Slick Water, and read it til your head explodes. The widespread contamination, corruption and cover-ups are meticulously documented. That should help you with your facts. annie57 – thank you for a comprehensive and honest reply. it is hard to believe that anyone but fracking company owners would support fracking, or accept that fracking does not leave a legacy of poison and destruction. moreover, in general, it is hard to believe anyone can still believe in gov’t and its decrepit agencies. crooks and liars. res – you are either a purveyor of poison, or you are an utter fool with regard to this topic. You’re welcome biff. And I couldn’t agree more. thinking it is worth adding to this thread the earthquake that just hit outside of red deer. someone going to tell us that red deer lies on natural quake fault lines?